@StaplesCanada Has All Your Laptop Needs Covered … and more! It’s back-to-school for so many (maybe not so eager) students across Canada. Having gone to high school in the 1980’s, I never dreamed that computers would become as advanced as they have. To think that I once used cassettes to save my work and now I can use a portable laptop. 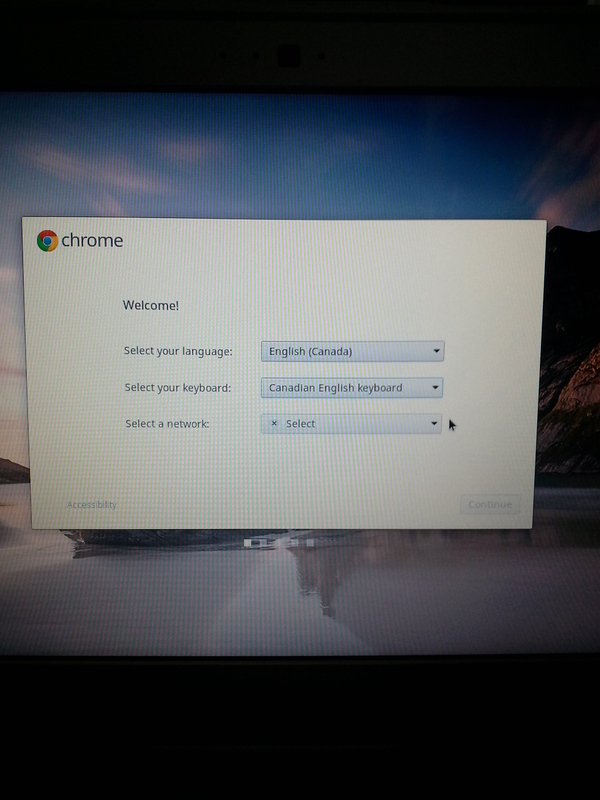 Staples Canada sent me a Samsung Chromebook Laptop to review and I’m thrilled that they did! It was effortless to start-up right out of the box. Once my partner set me up on our home WiFi, it was smooth sailing. The instructions were easy to follow; a few mere questions to answer, and then I was ready to explore. 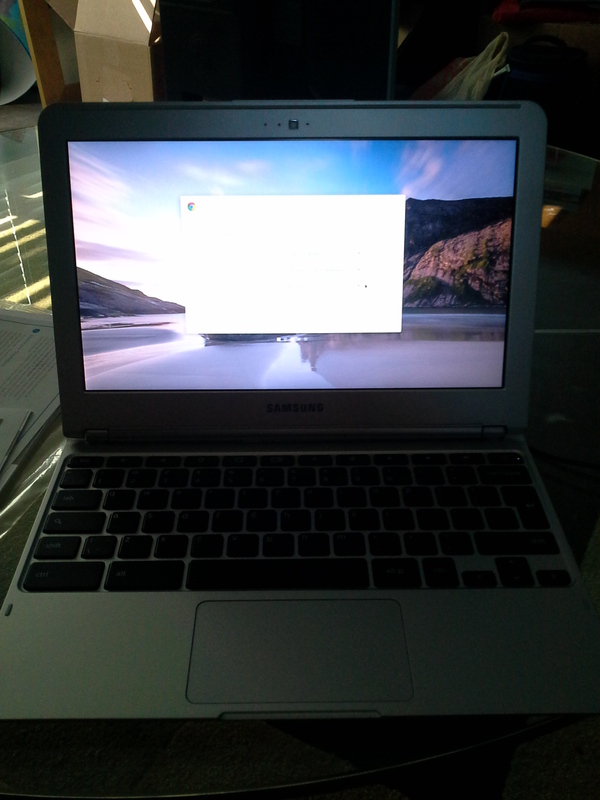 The Samsung Chromebook is so lightweight, portable, and extremely fast. It’s the size of a binder and fits in my larger purses easily; in other words it’s thin and light and portable. Personally, I like that the laptop stays cool … don’t you just hate it when tablets/laptops heat up on your lap or hands? Dimensions: 0.69″ H. x 11.40″ W. x 8.21″ D.
While many people might say that you can only use the Chromebook while ‘online’ the reality is that you can explore thousands of apps in the Chrome Web Store, including mail, news, calendar, maps, games and many other tools. There are also offline apps like Gmail that keep you productive even when you’re not connected to the web. Having said this, WiFi spots are commonplace and (certainly) you can always tether to your smart phone. The Cromebook is a perfect on-the-go laptop for anyone. With back-to-school on everyone’s minds right now, the Chromebook price point is excellent to equip students with what they need to excel. For me (constantly busy mom blogger), the Chromebook is exactly what I need. My Gmail account, my WordPress blog, and all of my Google docs are all linked to Chromebook so truly it seems like it has been a made-to-fit solution for My Bits and Bleeps. Having a Google account allows you to access all Google services on the Web. You don’t have to worry about purchasing, installing and maintaining software because everything you need is always accessible via the web … and no added cost! I have to mention that I love the full size keyboard; it’s what I prefer since typing old-school is easier for me. Although the Chromebook does not have a touch screen; much to my partner’s chagrin, I feel that it isn’t necessary. The large touchpad is easy to manoeuver; in actuality, it’s the first time that I’ve felt comfortable using one. If you’d prefer, you could always connect a USB or Bluetooth mouse instead of using the touchpad. Since receiving my Samsung Chromebook Laptop, I haven’t really had the need to use any other device. I love everything about it; my needs are met perfectly. 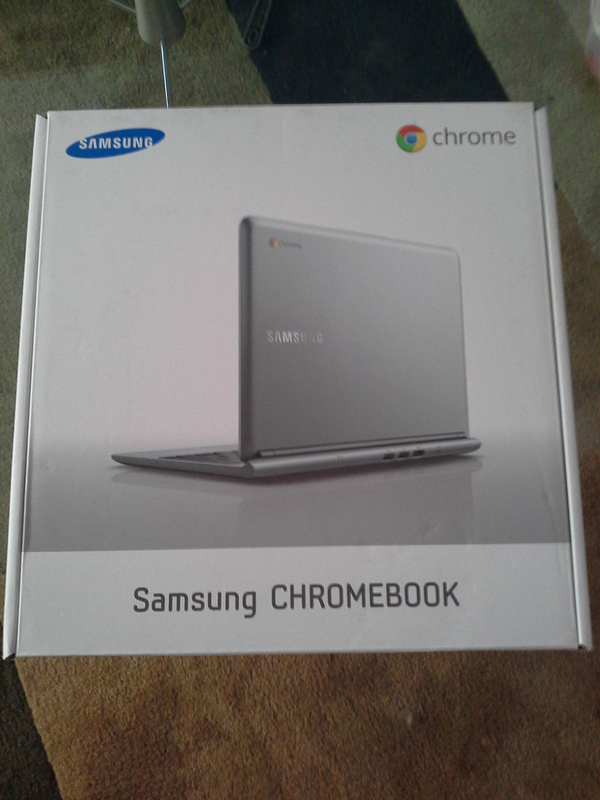 Disclosure: Staples Canada has given me the Samsung Chromebook Laptop in exchange for my review. I have not been financially compensated in any other way. 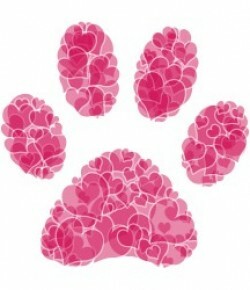 I am not obliged to give a positive review. Any opinion(s) expressed is my own, and is given freely. Any information acquired from Staple’s various social media formats has been authorized, and has been done so as to facilitate my post/review. I’m in the market for a laptop…. have to check Staples out!